Alicante Car Hire - Spain based Bravo Car Hire offers car hire services from leading car rental companies in the country. 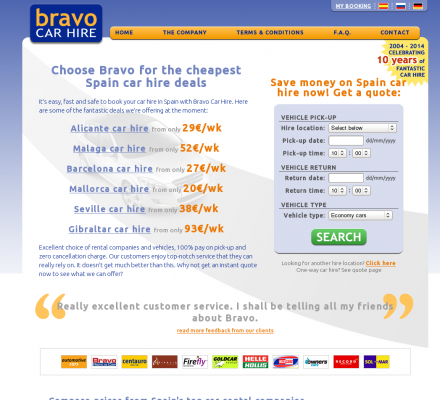 Spain based Bravo Car Hire offers car hire services from leading car rental companies in the country. Its services are available in places like Tenerife, Auriga, Centauro, Malaga and Alicante.